While often overlooked, protein is one of the body’s most vital nutrients. It’s what we’re made of, and makes strong and our bodies efficient. Here are some great suggestions on keeping it coming, in wholesome, quality ways. This post is sponsored by Vital Proteins, but the opinions expressed are my own. It’s not easy to find a healthy protein these days, as food producers often focus more on quantity than what’s best for health. For instance, whey (milk protein) that comes from conventionally raised cows often lacks nutrients and can be full of unhealthy pesticides and antibiotics. It is important to use quality whey from cows that are pastured, grass-fed and supplemented with organic food. I’ve looked high and low for high-quality protein powder. I have found everything I was looking for and more in the products from Vital Proteins. Amino Acids – These building blocks of all protein and muscles are added to this protein powder. Probiotics – Essential good bacteria for your immune and digestive system. Getting enough protein in your diet daily can be tough. This is where healthy protein powder can come to the rescue. Pastured, grass-fed and organic is what you are looking for when searching for healthy animal protein products. It’s not always possible to whip up a grass-fed cheeseburger any time of the day, so you need something else in your arsenal. Protein is the building block of your cells. It is used to repair and build all your tissues. Most don’t realize that not only is protein essential for your muscles, it’s also essential for your skin, bones, cartilage, and blood. Protein is required by your body to manufacture enzymes, hormones and the chemicals that run your body’s systems. Amino acids come together to create a complete protein which your body can use to repair and build cells. Amino acids are not made by the body, so must be consumed through food. Collagen is the protein building block of all your connective tissues, including your bones, muscles, skin, hair, nails, and tendons. Yes, it’s that important. It plays an important role in the replacement of dead skin, hair and nail cells. In fact, around 30% of the protein in our bodies is collagen. Collagen production declines with age, making it even more important to supplement as we get older. Collagen can also help prevent stretch marks, as well as help with a number of postpartum issues. 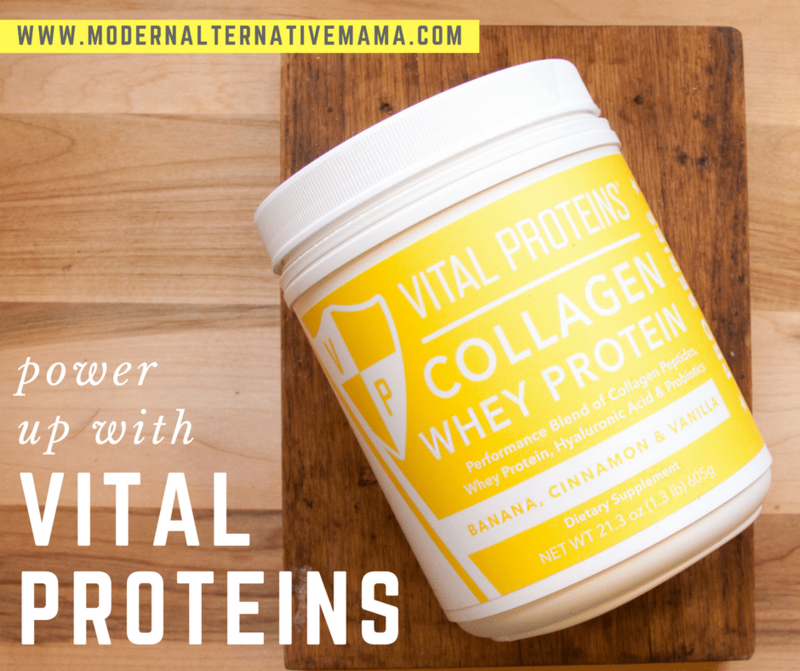 Vital Proteins has a number of collagen products to supplement for women. Nourish and fuel your body this holiday season with these delicious and easy protein recipes. Basically, blend all this greatness up. For an added protein (and taste) boost, you can add 1-2 tablespoons of peanut or almond butter. Combine oatmeal or oats, protein powder, cinnamon in a bowl. Stir in peanut butter, and slowly add milk. Roll into balls and refrigerate for at least 30 minutes. Keep refrigerated and enjoy within one week. Do you supplement your whole food diet with protein? What are your go-to recipes?